Budd nightshirts are cut generously and come to the knee. 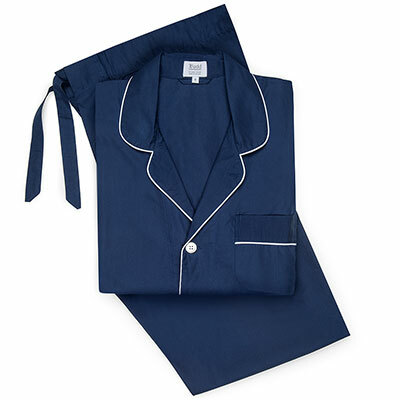 This traditional style of nightwear allows freedom of movement guaranteeing a good nights sleep after all the stresses of the day. This vibrant rainbow stripe comes is cut from the finest 2 fold 100 cotton poplin and will add a bit of colour to those bleak mid winter nights!